It was on a chilly February afternoon when I experienced my first Mardi Gras celebration two years ago. The festival was held in Soulard, a historic French neighborhood in St. Louis. 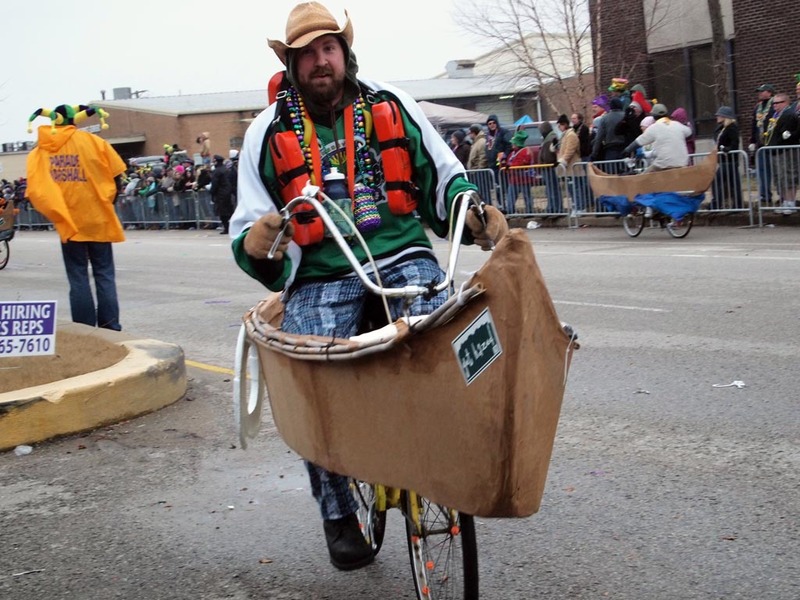 The festival in Soulard is said to be the second largest in the United States after the more famous one in New Orleans. 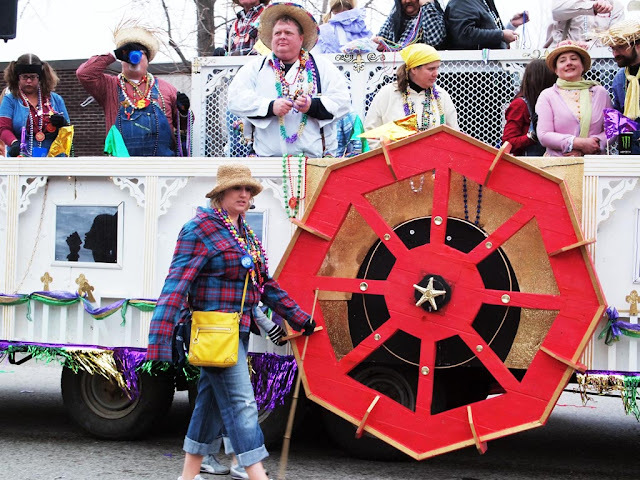 One thing that sets it apart from the one in Louisiana is that it is celebrated on a Saturday before Fat Tuesday (Mardi Gras in French), instead of the Tuesday before Ash Wednesday. 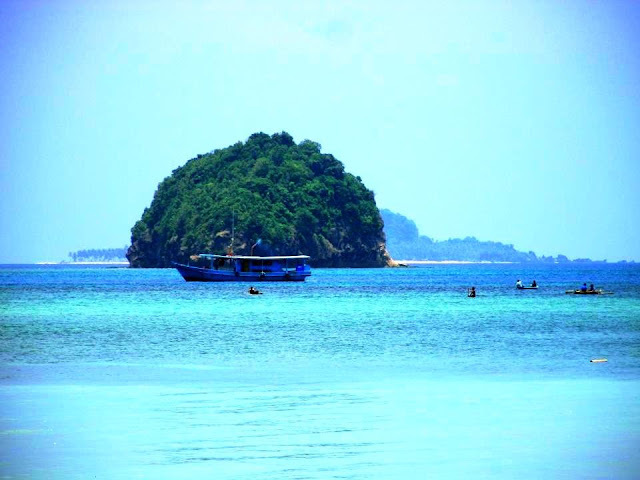 It is said that originally people celebrated in wanton abandon the day before Ash Wednesday because they are no longer allowed to do such the next day, until the end of Easter. The festivities attract large crowds, with people participating numbering in thousands. There are parades, open bars, music and alcohol to enliven the festival. 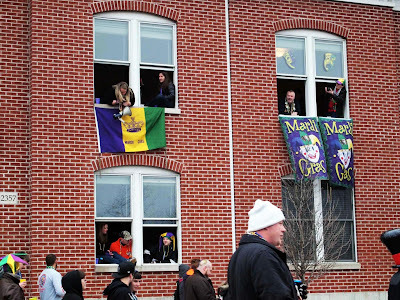 Alcoholic beverages such as beer, Jell-O shots and hurricane cocktails are freely consumed during the festivity, in the streets and in the balconies of houses where the parade passes through. The parade - up to 1.7 miles long - is made up of several "krewes," which originally means carnival organizations that participated. Most of the krewes are sponsored by local businesses or organizations, such as casinos, sports teams and veteran's groups, each putting up one or more floats for the parade. The members of the krewes would also dress up garishly and in exaggerated fashion. Prizes are given to the best floats, and each krewe would stock up on colorful beads to throw to the crowds as they pass by. 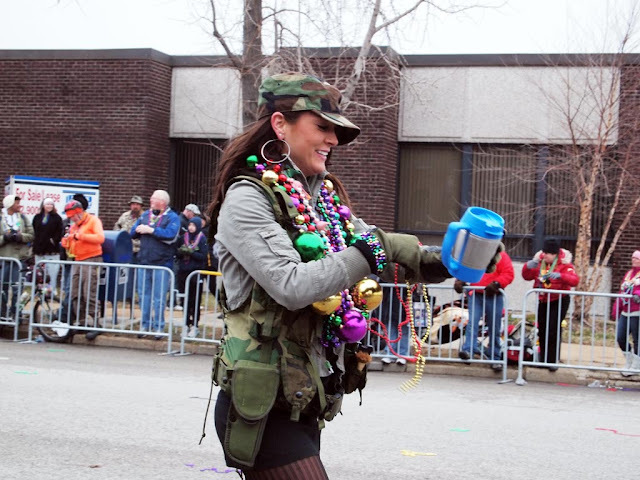 Revelers would throw and collect bead necklaces to each other, cat-calling people to encourage them to "flash" their bosoms to the crowd, which would reward the flashers with more bead necklaces. I did not see much flesh during the parade, maybe because it was still afternoon when it happened, and because it was too cold out (I made the mistake of forgetting my gloves, and my fingers were numb with the cold). I did not do the flashing thing obviously, but I still managed to get a handful of bead necklaces, some of which I brought home as souvenir. 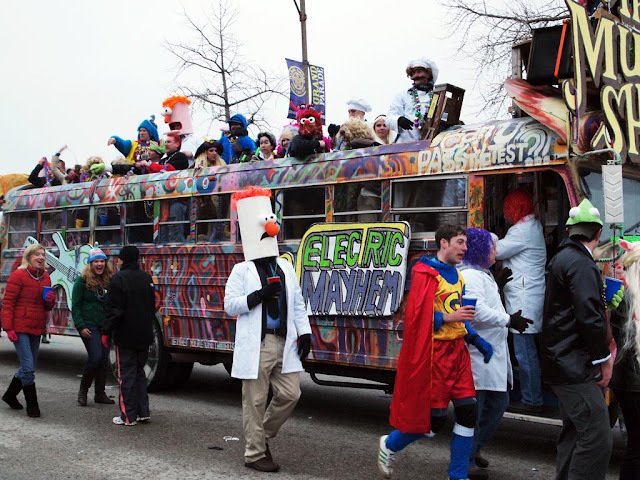 Take the Metrolink and get off Civic Center station, then take Metrobus Mardi Gras shuttle from there to Soulard. The shuttle operates from 9am to 11pm, and costs $5.